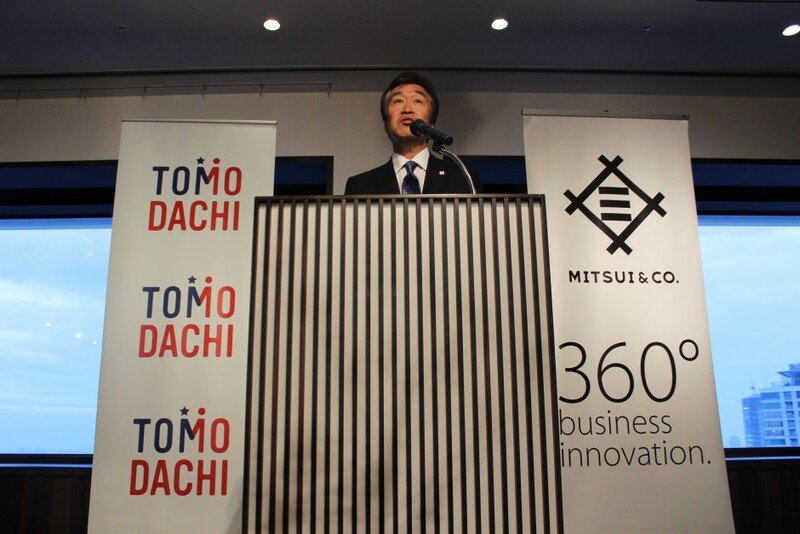 On July 8, 2016, the reception for the TOMODACHI-Mitsui & Co. Leadership Program was held at Ark Hills Club in Tokyo. 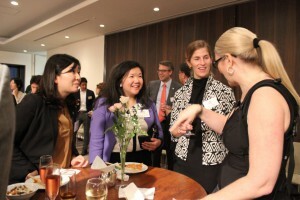 Made possible by generous support from Mitsui & Co., this program aims to cultivate the next generation of leaders in the public-private sector, and enhance networks that bridge Japan and the United States. Program participants are young professionals under the age of 35, who work to tackle industrial challenges to further globalization. Since 2013 when this program was established, there are approximately 60 delegates from both the United States and Japan who have partaken in this program experience. From July 2-9, 2016, U.S. delegates travelled to Japan for one week. During their stay, the delegates visited Fukushima to meet with Fukushima Prefecture Governor, Masao Uchibori, and observe the work that NGO: “Bridge for Fukushima” does, including the management of community space for high school students. After observing the harsh reality of the disaster-struck areas, the delegates travelled to Tokyo. In Tokyo, they shadowed Japanese corporations including Mitsui & Co., held discussions with U.S.-Japan relations experts, and attained cross-cultural experiences with the 2016 Japanese delegates who will be travelling to the United States in September 2016. The reception concluded the program for the U.S. delegates, and was attended by the Representative Director and Executive Vice President of Mitsui & Co., Hiroyuki Kato, representatives from the U.S. Embassy in Tokyo, as well as both the Japanese and American delegates. Mr. Kato gave opening remarks, and stated to the delegates, “[Mitsui] is very impressed by your (the delegates) deep insights and understanding of the company. We would like you to act as a bridge between your company and Japan [and/]or Mitsui.” In addition, the head of the Commercial Section at the U.S. Embassy in Tokyo, Andrew Wylegala spoke about his personal experiences as a Mitsui & Co. intern, and made a toast to the importance of business, family, and people-to-people connections. From September 11-19, 2016, the Japanese delegates will travel to Washington, D.C. Over their one-week visit, they will undoubtedly make new people-to-people connections similar to those made by the U.S. delegates in Japan, and attain knowledge that will benefit both their personal and professional lives.